President Donald Trump has received well-deserved condemnation from, among others, leaders of many nations, many governors, mayors, environmentalists, corporate chief executive officers and Jewish and other religious organizations for withdrawing the United States from the 2015 Paris climate change pact that was agreed to by all the 195 nations that attended, including Israel, Canada and the United States. How should Jews respond to the U.S. withdrawal? Science academies worldwide, 97% of climate scientists and 99.9% of peer-reviewed papers on the issue in respected scientific journals argue that climate change is real, is largely caused by human activities and poses great threats to humanity. All 195 nations at the December 2015 Paris climate change conference agreed that immediate steps must be taken to combat climate change. Every decade since the 1970s has been warmer than the previous decade and all of the 17 warmest years since temperature records were first kept in 1880 have been since 1998. The year 2016 was the warmest globally since 1880, breaking the record held before by 2015 and previously by 2014, meaning we now have had three consecutive years of record temperatures. Polar icecaps and glaciers worldwide have been melting rapidly, faster than scientific projections. This has caused an increase of elevation in oceans worldwide, with the potential for major flooding. There has been an increase in the number and severity of droughts, wildfires, storms and floods. California has been subjected to so many severe climate events (heat waves, droughts, wildfires and mudslides when heavy rains occur) recently that its governor, Jerry Brown, stated, “Humanity is on a collision course with nature.” California serves as an example of how climate change can wreak havoc. Many climates experts believe that we are close to a tipping point due to feedback loops, when climate change will spiral out of control, with disastrous consequences, unless major positive changes soon occur. While many climate scientists think that 350 parts per million (ppm) of atmospheric CO2 is a threshold value for climate stability, the world reached 400 ppm in 2014 and the amount is increasing by two to three parts per million per year. While climate scientists hope that temperature increases can be limited to two degrees Celsius (3.6 degrees Fahrenheit), largely because that is the best that can be hoped for with current trends and momentum, the world is now on track for an average increase of four to six degrees Celsius, which would result in great human suffering and significant threats to human civilization. The Pentagon and other military groups think that climate change will increase the potential for instability, terrorism and war by reducing access to food and clean water and by causing tens of millions of refugees fleeing from droughts, wildfire, floods, storms and other effects of climate change. The group ConservAmerica, formerly known as Republicans for Environmental Protection, is very concerned about climate change threats. They are working to end the denial about climate threats by the vast majority of Republicans, but so far with very limited success. Genesis 2:15 indicates that the human role is to work the land but also to guard and preserve it. Jews are mandated to be shomrei ha’adama, guardians of the earth, co-workers with God in working for tikkun olam, healing and repairing the world. The Jewish sages expand Deuteronomy 20:19-20, prohibiting the destruction of fruit trees in wartime to build battery rams to overcome an enemy fortification, to make a general prohibition against unnecessarily destroying anything of value. Jews should be on the forefront of efforts to help avert a climate catastrophe. We should try to significantly reduce our individual carbon footprints by recycling, using efficient light bulbs and other items, eating less meat, reducing our use of automobiles by walking, biking, sharing rides and using mass transit, when appropriate, and in other ways. We should support efforts to increase efficiencies of automobiles and other items, shift to renewable sources of energy and make societal steps that reduce greenhouse emissions. We should try to arrange programs on climate change at synagogues, Jewish centres and other Jewish venues, write letters to editors, speak to family members, friends, neighbours and co-workers, and take other steps to increase awareness of the seriousness of climate threats and how applying Jewish values can help reduce them. We should do everything possible to reduce climate change and to help shift our imperiled planet onto a sustainable path. Richard H. Schwartz, PhD, is professor emeritus, College of Staten Island, president emeritus of Jewish Veg and president of the Society of Ethical and Religious Vegetarians. He is the author of several books, including Judaism and Vegetarianism and Who Stole My Religion? Revitalizing Judaism and Applying Jewish Values to Help Heal Our Imperiled Planet, and more than 250 articles at jewishveg.org/schwartz. He was associate producer of the documentary A Sacred Duty: Applying Jewish Values to Help Heal the World. Speaking at the Israel Museum in Jerusalem Tuesday, U.S. President Donald Trump quoted Theodor Herzl. “Whatever we attempt there for our own benefit will redound mightily and beneficially to the good of all mankind,” Herzl said. This is not Herzl’s most famous quote, but the words were well chosen. 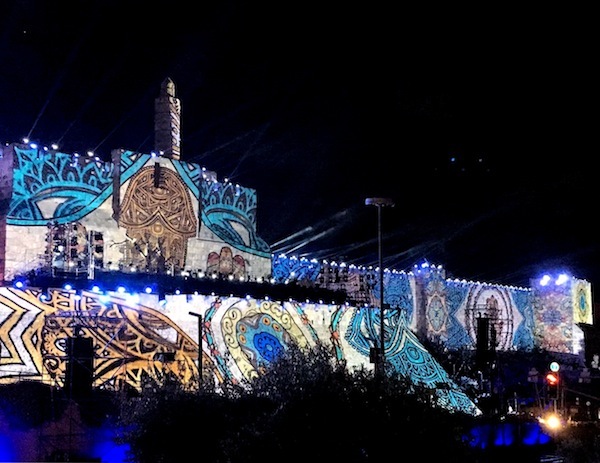 In seven decades, Israel has contributed such an immense amount to the knowledge and culture of the world that Herzl himself could probably not have foreseen it in his wildest imagination – and he had a wild imagination. The only barrier to the great redounding of which Herzl spoke has been the rejection of Israeli people, knowledge, technology and existence, first by those who would have benefited most – the country’s nearest neighbours in the Middle East – and latterly by many around the world, from the United Nations to college campuses across the West, where boycotting all things Israeli has become almost a rite of passage. The president’s reputation is founded on his deal-making abilities and this is perhaps why he made it his first order of foreign business to travel to the Middle East, site of the world’s most elusive deal. But, telling an audience of Israelis, and global observers who have far deeper knowledge of the situation than Trump does, that Abbas is ready to reach a peace deal displays a degree of naiveté, to say the least. 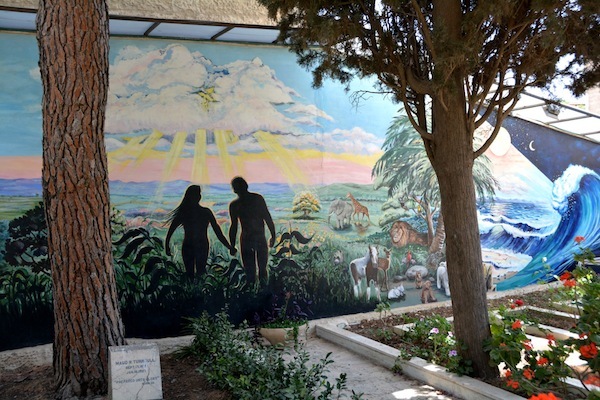 Herzl’s vision of Israel as an oasis of excellence sharing its knowledge and advancements with neighbours was unquestionably imbued with the colonial attitudes of his era. But it was also founded on assumptions of enlightened self-interest. “Israel is a thriving nation,” Trump said, “and has not only uplifted this region, but the entire world.” True enough, but it could have done so much more uplifting if others in the region had not rejected most of what the state has had to offer. When the Arab Spring had its limited expression, it seemed that the peoples of the region might finally be rising up against not just the leaders who oppressed them, but the very scapegoating ideologies and miseducation that kept them down. One by one, most of the oppressors regained the upper hand and the greatest hope for Israeli-Arab peace – that the people and leaders would see coexistence as synonymous with self-interest – faded again. If Trump thinks he has the magic beans to succeed where so many have failed, may he go from strength to strength. Eight hundred supporters of U.S. President Donald Trump gathered in a Los Angeles-area venue recently – before the controversy this week over Trump’s sharing of classified information with Russia – to hear four major U.S. media figures discuss why, in their opinion, the president had thus far made impressive executive choices. 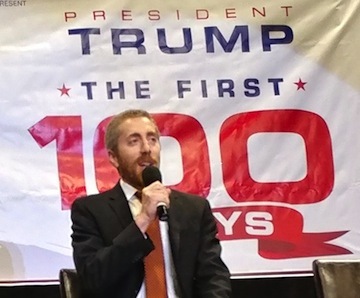 The April 30 event – the fourth annual Unite Inland Empire Conservative Conference – was entitled Trump’s First 100 Days. Panelists were talk radio hosts Larry Elder, Hugh Hewitt and Dennis Prager and senior editor-at-large of Breitbart News, Joel Pollak. Trump was praised by all speakers for his Supreme Court choice of Neil Gorsuch, his strike on Syria, his efforts to overturn Obamacare and the newest Iran sanctions. The two Jewish speakers – Prager and Pollak – told the Independent that the president has, in a very short time, done much for Israel. Appointing a U.S. ambassador to the United Nations who is critical of the world body’s treatment of the Jewish state should be seen as significant in itself, Prager said. “Why isn’t Nikki Haley enough for a Jew?” he asked. The author of seven books, including the recently released Ten Commandments: Still the Best Moral Code, Prager said Trump should divest the United States entirely from the UN, however. In terms of reported rising Jew-hatred in the United States, Prager said some of it is fabricated and some is an imminent threat. It is Prager’s belief that Israel may be reticent, at this point, to deal with the potential blowback. Meanwhile, Pollak thinks that the president may follow through with moving the embassy to Jerusalem at some point in the future. In terms of the peace process, the new administration will not be mirroring that of Barack Obama, who “took the Palestinian side, and that was destabilizing,” said Pollak. On the UN, Pollak said it was a forum for enemies to hash out their differences, but its Human Rights Council – where many dictatorships have representatives – should be dismantled. In agreement with Prager, he said the pressing danger to U.S. Jews is the surge of university-based antisemitism. Last year, U.S. campuses saw a 45% increase in anti-Jewish sentiments, according to Tel Aviv University researchers and the AMCHA Initiative, which investigates antisemitism on college campuses. The issue will worsen, Pollak said, as more young people remain ignorant of the Holocaust – a tragedy all-too-often invoked and misused by those who compare the Final Solution to the Palestinian situation. When President Donald Trump heads to the Middle East, the world will be primarily watching closely to see if he makes any of his trademark gaffes that set off a cultural land mine in Saudi Arabia or Israel. But the more important question is whether he will use the trip to actually make policy. The expectation is that, at some point during his visit, Trump will announce the convening of a new Middle East summit. Trump appears to believe in the “outside-in” approach to peace talks, in which Arab states like Saudi Arabia would play a role in trying to encourage and even muscle the Palestinians into negotiating in good faith with Israel at a peace conference. But whether or not that dubious plan is put into action, Trump’s presence in Jerusalem is also being scrutinized for any hint that the United States is prepared to acknowledge his stay at the King David Hotel will be time spent in Israel’s capital. Though Trump repeatedly pledged during the 2016 campaign he would move the U.S. embassy from Tel Aviv to Jerusalem, it hasn’t happened yet. It’s still possible he could do it, perhaps even when he’s there only a day before Israel celebrates Jerusalem Day – which this year marks the 50th anniversary of the city’s reunification during the Six Day War. But few in the know think this is going to happen. In recent weeks, Trump has been listening to his more mainstream advisers, such as Secretary of State Rex Tillerson and Secretary of Defence James Mattis. This has led him to take a more realistic attitude toward NATO and the conflict in Syria. It’s also likely to mean he will heed their warnings that an embassy move would set off riots in the Muslim world rivaling those occurring in reaction to a Danish newspaper publishing cartoons of the Prophet Muhammad. That’s a price that not even Trump may be willing to pay to keep a promise. If so, then those pro-Israel activists who pushed hard to pin down Trump on the embassy issue last year will probably write it off as just a noble effort that failed. But by putting the question of Jerusalem’s status back on the national agenda and then failing, they will have made a mistake that could set back Israel’s cause and boost efforts to re-partition the capital. Jonathan S. Tobin is opinion editor of JNS.org and a contributing writer for National Review. Follow him on Twitter at @jonathans_tobin. Donald Trump’s first international trip as president of the United States will include Israel, Saudi Arabia and the Vatican. This breaks a longstanding tradition of a new U.S. president shuffling north or south to drop in on one of America’s nearest neighbours. The snub of Mexico, if that’s what it is, is not surprising. Trump has built his political career on demonizing Mexicans. If his first official foreign visit is also a snub of Canada, that also should not surprise, given Trump’s recent extemporaneous attacks on our supply management system and his general beefs with NAFTA. Israel and Saudi Arabia, for their vast differences, are the most important allies of the United States in the Middle East. With Saudi Arabia, the friendship is certainly a matter of pragmatism over principle. The West needs their oil and the stability and counterbalance they provide in the region. The Israeli relationship is quite different. While American politicians and diplomats will focus on military and intelligence cooperation, as with Saudi Arabia, they also salute Israel’s democracy and our shared values. The long history of friendship between the United States and Israel also frequently comes up. What is less prominent in words of friendship is Israel’s Jewishness. This is common even among pro-Israel voices. We extol Israel’s democracy, diversity, the immense contributions to science and medicine, technology, culture, foreign aid – even Tel Aviv’s funky nightlife. But we don’t always emphasize the foremost case for Israel’s existence: that the Jewish people deserve and require self-determination in our ancient and modern homeland. This is an interesting tendency. Are we acknowledging that, perhaps, Israel’s democracy, scholarship, vibrancy and beaches are all great selling points, but its Jewishness is not? Maybe we are. And maybe we’re right. But, by not continually promoting Israel’s right to exist as the Jewish homeland, we undercut the most important case we can make and, in the process, probably bend our position somewhat to suit the tastes of casual antisemites. We need to make the case forcefully that Israel is the homeland of the Jewish people and deserves to exist for that reason – first among the many reasons Israel deserves to exist and be respected. However, there is an effort afoot in Israel to affirm its Jewishness in a way that is divisive, exclusionary, even possibly racist. On Monday, Netanyahu threw his support behind a so-called “nation-state” bill proposed by Likud Knesset member Avi Dichter that would enshrine Israel as “the national home of the Jewish people.” This statement is undeniable – or it should be. But the bill goes on to declare that “the right to realize self-determination in the State of Israel is unique to the Jewish people” and would revoke Arabic as an official language in Israel. These latter aspects of the bill deliberately insult and diminish the rights of non-Jewish citizens of Israel. Here is the difference between the case we made about Israel’s Jewishness and the bill’s intent: Israel is the homeland of the Jewish people – but Israel is also the homeland of people who are not Jewish, up to one-quarter of the population. These two things need not be exclusive, but the bill would make it so and, in the process, expressly deny the equality of minority populations. The prime minister called the bill “the clearest answer to all those who are trying to deny the deep connection between the People of Israel and its land.” This is a morsel of red meat for hungry Zionists because we are tired of people diminishing or outright denying the right of Jewish people to live in Israel. So, the bill might deliver a frisson of delight for those of us who bristle at the latest United Nations nonsense or campus apartheid week. Yet, whatever the merits of such a bill, it is an unnecessary and intentional hot stick in the eye of Israeli minorities – and indeed those of us in the Diaspora who make the case for Israel as a diverse, welcoming, multicultural and multifaith place. Though the comfort of Diaspora Zionists should not direct Israeli policy, this example is merely harming Israel’s cause with no commensurate upside. That said, one person who would see this kind of exclusionary, divisive, unnecessarily nasty bill as a good idea is going to be visiting there soon: the president of the United States. נשיא ארה”ב, דונלאד טראמפ, ממשיך לשנות את דעתו בכל נושא ונושא גם במלאת מאה ימים לכהונתו. אף אחד ממקורביו, בממשלו, ממשלתו ובקרב חברי הקונגרס מטעם מפלגתו, לא יודעים מה ילד יום וממה לצפות מטראפ שמעורר מבוכה רבה. לכן גם לא מפתיע במיוחד שטראמפ שהודיע כי הסכם הסחר הצפון אמריקני של ארה”ב עם קנדה ומקסיקו – נפט”א “הוא גרוע ביותר בהיסטוריה”, לאחר מכן אמר כי יוכנסו בו רק תיקונים קטנים בכל הנוגע לקנדה. אחרי כן הודיע טראמפ בשבוע שעבר כי הוא יבטל את הסכם נפט”א (ואף כבר הכין טיוטה של צו נשיאותי לסגת מההסכם), ולאחר יום חזר בו והודיע כי הוא כי ימשיך לתמוך בו, תוך הכנסת תיקונים מסויימים. זאת לאחר ששוחח בטלפון עם נשיא מקסיקו, אנריקה פנייה וראש ממשלת קנדה, ג’סטין טרודו, שביקשו ממנו להשאיר את הסכם הסחר על כנו, כי אחרת יגרם נזק גדול יותר לשלושת הצדדים, ולפעול במשותף במטרה לשפרו. טראמפ ציין כי אם הוא מסוגל לעשות עיסקה הוגנת עבור ארה”ב במקום לבטל את ההסכם המדובר, זה מה שהוא יעשה. נשיא ארה”ב הוסיף: “אנחנו מתכוונים לתת הזדמנות טובה למשא ומתן מחודש לשיפור תנאי ההסכם, שהתחיל ממש כבר בימים אלה”. טרודו מצידו אמר לעיתונאים לאחר ששוחח עם טראמפ בטלפון, כי השיחה בין השניים הייתה מוצלחת. בשיחה הוא הבהיר לנשיא ארה”ב כי יציאת ארה”ב מההסכם תגרום כאב גדול לשתי המדינות. שני האישים סיכמו ביניהם לשפר את תנאי ההסכם לטובת שלוש המדינות השותפות בו. טראמפ אישר לאחר מכן כרגיל באמצעות טוויטר כי הסכים לבקשתם של טרודו לשנות את תנאי הסכם הסחר במקום לבטלו. הסכם ליצירת אזור סחר חופשי של צפון אמריקהי בין ארה”ב, קנדה ומקסיקו – נפט”א – נולד בשנת 1994. אז חתמו עליו ראשי המדינות: נשיא ארה”ב ביל קלינטון, ראש ממשלת קנדה, בריאן מלרוני ונשיא מקסיקו קרלוס סאלינס. אגב מלרוני השמרני נחשב למקורב לטראמפ במשך שנים, ולכן הוא משמש כיום כיועץ לממשלת טרודו הליברלית שמנסה ללמוד כיצד לנהוג במגעים מול הנשיא האמריקני הבלתי צפוי לחלוטין. נפט”א נועד לביטול רוב המכסים בין שלוש המדינות וכן להסדיר את מעבר כוח האדם והסחורות בין ארה”ב למקסיקו. ההסכם יועד בעיקר לשפר את מצבם של ענף החקלאות, ענף ייצור המכוניות וכן ענף הטקסטיל. ההסכם שנחשב למבורך בעיני רבים בהם גם מומחים בתחום הכלכלה, שילש את כמות המסחר וההשקעות בין ארה”ב, קנדה ומקסיקו. במונחי שווי כוח הקנייה של התוצר הלאומי הגולמי של החברות בהסכם, הוא יצר את גוש הסחר החופשי הגדול בעולם. ובמונחי תמ”ג נומינלי נחשב נפט”א להסכם הסחר השני לאחר הסכם איגוד הסחר החופשי של הגוש האירופאי המאוחד. הסכם נפט”א הביא לכך שהתגבר סחר החוץ בין שלוש המדינות וכלכלן צמחו במהלך התקופה מאז נחתם. כלכלת קנדה צמחה בקצב הגבוה ביותר, אחריה כלכלת ארה”ב ואחרונה כלכלת מקסיקו. לפי משרד המסחר של ארה”ב: מאז חתימת ההסכם רמת האבטלה במשק האמריקני ירדה, בו בזמן שנרשם גידול מתמיד בשכר העובדים הריאלי לשעה. כן נרשם גידול בשכר העובדים של מקסיקו ואף גידול ביצוא החקלאי של ארה”ב לקנדה ומקסיקו. המומחים מציינים כי נפט”א הזיק לתעסוקה בארה”ב הרבה פחות מהתחרות עם סין ומדינות אחרות, ודווקא ביטולו עלול לפגוע בתעשיות האמריקניות. While a recent panel called Israel, Canada and Me in the Age of Trump covered many topics well, there was a noticeable omission – feminism. Three of the four panelists at the Peretz Centre on April 9 were women – Dr. Shayna Plaut, Ofira Roll and Rabbi Susan Shamash, with Eviatar Bach. But most participating audience members were male, with moderator Stephen Aberle having to solicit a question from a woman near the end to provide a semblance of balance. Perhaps the aggressive tone coming from the floor, not to mention the police protection, was stifling for some women. The event sponsor, Independent Jewish Voices, Vancouver, requested the police presence because of a threat by another Jewish political group to disrupt the event. 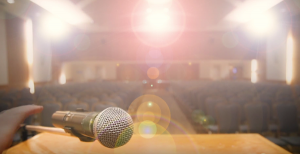 Thankfully, while some of the other group’s members were in the audience and were quite outspoken, a stimulating, heartfelt and combative exchange between the panel and an audience of about 40 people took place without incident. Unfortunately, the emotionally charged atmosphere shut down exploration of two pressing questions regarding the rights of Palestinians in Israel: the two-state solution and the ongoing Jewish settlements in East Jerusalem and the occupied territories. It was noted that, at the core of the tensions for Jews is a fundamental contradiction: the injustices experienced by the Palestinians in Israel go against Jewish values and teachings. As well, while Prime Minister Binyamin Netanyahu’s support of President Donald Trump may be politically expedient, it is morally questionable. Separate from the panel discussion, an American news commentator caught my attention with the suggestion that German Chancellor Angela Merkel now stands as the most seasoned and capable leader among Western democratic nations. I would add a third adjective to describe her – compassionate. As hard as this is to do within ourselves, the difficulty is magnified when we try to maintain or reach a respectful dialogue. Tolerance is all good and well, but what happens when some voices become intolerable – that is, in denial of the truth and in support of racism, bigotry, misogyny? What happens when power – even democratically elected power – is used to exploit and oppress? On the whole, we can’t afford to become lethargic and we can’t exclude women’s voices in favour of a “muscular” political agenda. The Women’s March on Washington on Jan. 21, held in conjunction with hundreds of solidarity marches elsewhere, gave us a taste of our collective power, as I personally witnessed by participating with about 15,000 women and men in Vancouver. We garnered praise for a day that was peaceful, inclusive, positive – and global. That historic action has since faded into a grim reality, as women (along with LGBTQ people and visible minorities) witness Trump, who has a lengthy record of misogyny, working alongside his almost exclusively white male cabinet, take backward steps on human rights. Government actions have included an executive order to block funding to organizations that support abortion services, a travel ban targeting some Muslim countries and the appointment of a Supreme Court justice that could lead to legal changes regarding women’s reproductive rights. But, when Trump applauded Trudeau’s initiative to organize a joint women’s entrepreneur project in February, many questioned how sincere this “pro-women” gesture was. A diversity of board members not only benefits women, but expands business approaches and ideas. And women are underrepresented at this level, only holding 18.8% of Fortune 1000 company board seats in 2015 and 20.6% of the seats on Fortune 500 boards. The Trump-Trudeau roundtable with North American businesswomen may have raised awareness on women’s value in the workplace, but did the session result in a significant step toward equality or simply provide an image-boost for the male leaders involved? Certainly in stark contrast to Trump’s male-dominated inner circle is Trudeau’s cabinet, with half of its members female, appointed from a caucus where women comprise 27% of Liberal members of Parliament. However, Canada only ranks 50th out of 190 countries on proportion of national-level female politicians. As well, five of the 15 women in Trudeau’s cabinet are in junior positions. In Israel, women have also been elected in greater numbers over time but men are still at the helm. Economic equality also eludes Israeli women at every level. This appears to be the narrative for women in most democracies, Scandinavian nations providing some important exceptions. Systemic, rather than cosmetic, changes need to be made within institutions – including provisions for harassment-free parliamentary debate so female politicians can thrive without being subject to intimidation and emotional abuse. Indeed, all forms of violence faced by women from all walks of life must be addressed, most urgently among indigenous women in Canada, a long-ignored and tragic reality. When policies impacting the vast majority of women are implemented, the ramifications are significant. Consider that women continue to be the primary childcare provider: according to Statistics Canada, women comprise 80% of single parents with a child and three quarters of part-time workers are women. So why, again using Statistics Canada figures, do women make 87 cents for every man’s dollar – a gap even wider for visible minorities and immigrant women? Pay equity legislation is a move in the right direction and provinces that do not have this, such as Alberta, are shown to have a wider gap. The spread of part-time, precarious jobs affects all workers, but especially women, and has led to a groundswell of campaigns across North America to raise the minimum wage. In British Columbia, 63% of minimum wage earners are women, according to the B.C. Federation of Labour, and these are not only teenagers – 80% of all minimum wage earners are over 20 years old. Malala Yousafzai was recently bestowed with an honorary Canadian citizenship by the Trudeau government, her bravery and powerful messages to girls and women inspiring global admiration. She would undoubtedly agree that, in these politically uncertain times, we must strive for a climate of respect and tolerance and ensure women are an integral part of dialogues and policies. Janet Nicol is a teacher at Killarney Secondary School in Vancouver, freelance writer and local historian. She has written previously about an early-20th-century Jewish-Canadian human rights lawyer, Israel Rubinowitz, for the Jewish Independent. Purim is a time of deception and inebriation. The story we commemorate in the reading of the Megillah is one of hidden identities and near catastrophe. As is often humorously pointed out, the Purim story ends as most Jewish holidays do, celebrating victory over oppressors and overindulging. Purim is a fun holiday, with layers of meaning for people of different ages. The young (and many of their elders) enjoy the costuming and playacting, while we appreciate both the laughs and the historical and contemporary nuances of the shpiel perhaps more as we age. The circularity of the Jewish calendar is both an indicator of consistency and of constant change. While the readings and rituals may stay more or less the same century after century, we as individuals and as a community are different than we were when we read the same verses last year, or the years before. Certainly, much has changed since last Purim. We were keenly aware of this when we prepared this year’s Purim spoof page. Each year we have a few laughs (and try to bring some to readers) by making fun of current events. But it becomes exceedingly challenging to conjure witty parody when real-life events beggar belief and seem like bad TV comedy. On Purim, we try to upend the truth or make fun of situations by taking them to their extremes. This takes special aplomb when upended truths and extreme situations are the apparent norm. The parallels extend beyond the form, even mimicking substance. If the White House today is Ahasuerus’s castle, in this far-fetched narrative, there is even a Jewish consort credited for reining in the worst inclinations of the king. George Orwell is invoked constantly these days, and rightly so. The fictional dystopia the author imagined in 1984 bears creepy similarities with current events. The lies are so bald-faced and the accusations so exactly misdirected that we need to wonder if, rather than being the product of an unhinged loose cannon, they could conceivably be part of a genius strategy. Could it be that the president is inundating his constituents and the world with so many outlandish assertions and utter deceits that he is trying to inure us before laying on something he’s had in the works all along? If this sounds crazy or paranoid, well, we can review the facts, such as they are, next Purim.